After a sumptuous treat at Full of Crab, we took a short stroll down East Coast Road in search of another rare gem and chanced upon an almost theatrical display through the window display. 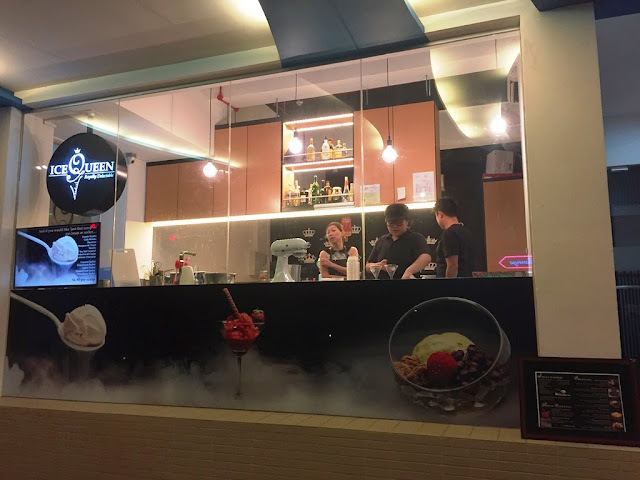 While ice cream produced with liquid nitrogen is not something new these days, we were fascinated by the various types of ice cream creations with a highlight on local desserts such as chendol, red ruby and even mango sticky rice. 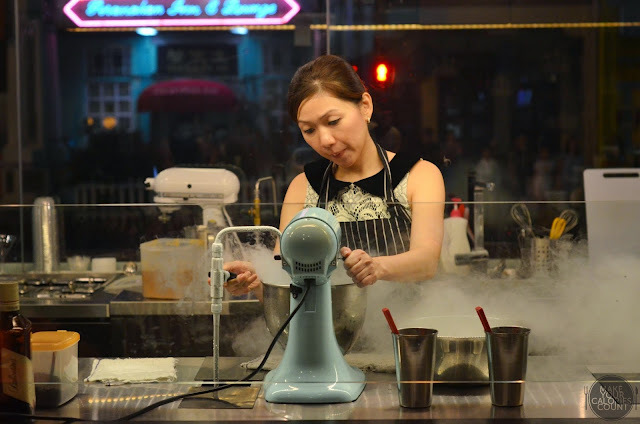 We had our first encounter with ice cream produced via molecular gastronomy in London at The Chin Chin Laboratorists, then Lab Made in Hong Kong and Just Like It! in Singapore (well, we also tried another not-so-good version in Singapore but that is besides the point). Our expectations were therefore quite high before we walked up a small flight of stairs to Ice Queen. Always a fan of our Singapore desserts such as chendol and ice kachang, this almost became a must-try when I spotted it on the menu. The salted gula melaka ice cream was extremely rich and bold in flavours and certainly won my palate over. 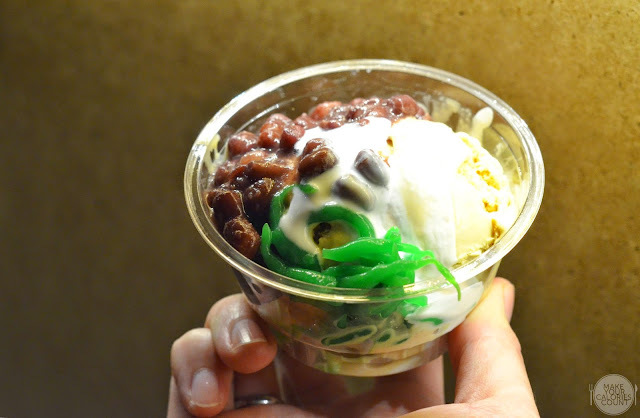 Paired with the usual sweet red beans, pandan jelly and attap seeds, it was almost reinventing the usual chendol enjoyed at a hawker stall onto this innocent looking plastic cup. 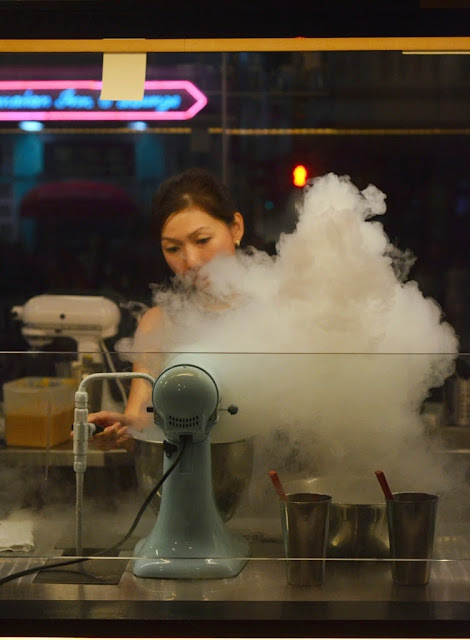 One of the newer creations that was added onto the menu, the Red Ruby is a familiar dessert for most but under the influence of the liquid nitrogen, the dessert was reinvented, almost. With flesh scraped from the young coconut, the sweet coconut water was used in the making of the coconut ice cream. The addition of coconut milk enriched the flavours and made it a lot more robust. 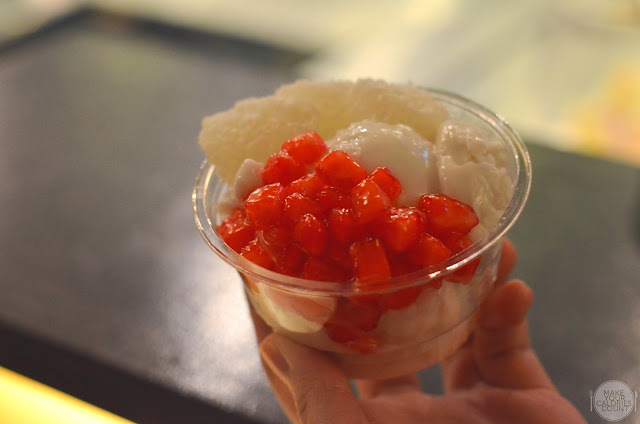 The icing for me was the diced water chestnut coated in a thin jelly that added crunch to each mouthful. Yes, it was definitely on the sweeter side but isn't that the whole point of having a dessert, to cure our sweet tooth craving? Tucked quietly at an inconspicuous corner at East Coast Road, this was definitely a rare gem spotted. The owners of the ice cream parlour were friendly and took special efforts to strike up conversation with each and every customer, be it a walk-in like us or the regular patrons. 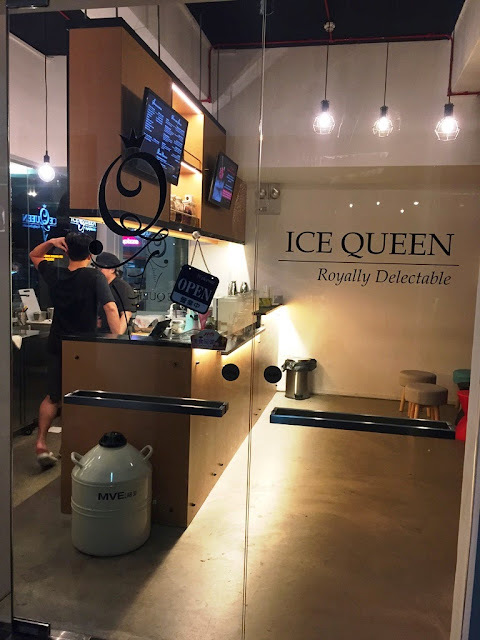 The casual setting of the ice cream place with stools fit for adults and kids alike is surely a must-try spot if you are along the Katong eating district. While we still crave for the lovely scoops down at Chin Chin Lab in London, I think we found our next best in Singapore, for now.